The Walter Art Gallery was pleased to present a collection of photographs by Richard Kimbrough, an Arizonan who travels frequently in search of images and adventure. After receiving his first camera in the fourth grade, Richard began photographing everything around him, and even at that young age, he did so with the intent to make an interesting image, rather than to just take a snapshot. In high school he bought his first 35mm camera and started reading everything he could about photography. He shot hundreds of rolls of film, which was quite unusual for a student not on the school newspaper or yearbook staff. He sold his first art print while still in high school. In college Richard took more photography classes than most fine art photography majors, although his degree is in mechanical engineering. By the early 2000's Richard was providing photos to magazines around the world. Today Richard photographs the people, places, and creatures he comes across in his exploration of the world with his camera, with subjects ranging from portraits to roller derby, from VW bus adventure photography to wildlife and travel. Richard says, "It is in my nature, I'm compelled to photograph. Walking through the world I see photographs. Maybe it is my packrat nature, my need to collect things; I collect images. Maybe it is my way of holding onto the people and places I come across in life, maybe it is a memory trigger for a brain that needs a hint to look things up." Richard's images have appeared on billboards, in TV and print ads, and recently in a full TV commercial he filmed for a congressional candidate that ran on stations such as CNN and AMC among others. Richard has been published in books and magazines worldwide, including Automobile magazine in the US and overseas magazines on topics from VWs to eclectic fashion. 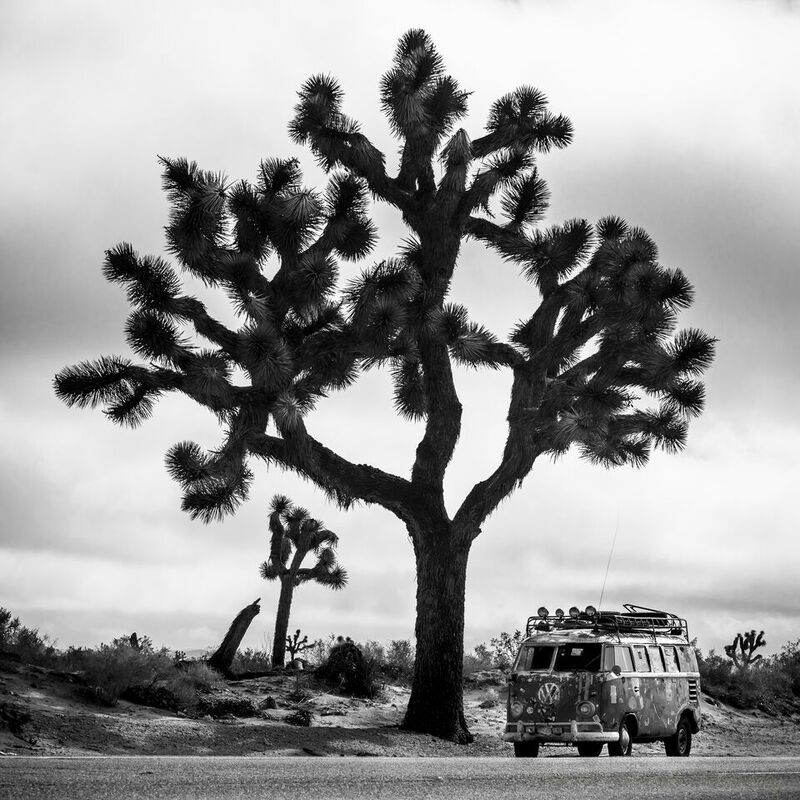 He has provided images for multiple books and has an entire chapter devoted to his images in both Bulli Love, a VW book celebrating the sixtieth anniversary of the VW bus, and Camper Van Crazy, a book chronicling adventures in buses. Richard just returned from a trip to New Zealand with his daughter Aurora where they traveled the country in a VW bus capturing images all along the way. Where his next photographic adventure will take him is yet to be determined.